You must be a member of the Stockholm After Work Group to attend this activity. Would you like to join this group? A nice little Sunday outing for us who live in Stockholm. Even before we go there, I must say that I love that a large hotel dares to take the step and invest in a completely vegan brunch. 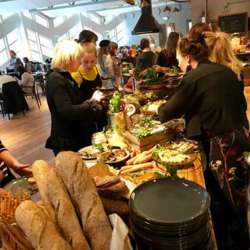 The price for this amazing culinary experience is 395kr, an all you can eat buffet, cold and warm dishes, waffle bar, pancakes, desserts, juice, water, coffee and tea included. Swish to Protected content for early confirmation.